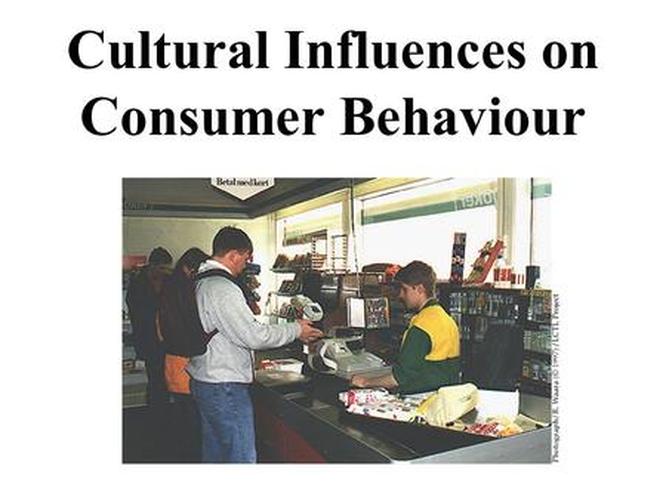 The assignment analyses the ‘external’ sociological / cultural influences on the consumer. Assume that you are preparing this report for a business person who manages a Canadian company producing the product/s you have chosen. You are to choose a Canadian company and product/s that this company produces from the list below. It is not essential for the company to produce a wide range of the stated product/s, as long as they just produce one or two brands. Imagine that he/she wishes to go into (eg. via export) an overseas country with this product. Assume the manager has likely never been overseas, and has little knowledge of overseas countries worth investigating. He/she needs a valid justification to go into a particular country that shows potential. Then, and even more importantly for this report, he/she needs to identify target segments for their product. To do this, they need to understand the main SOCIAL and CULTURAL characteristics impacting on the various consumer groups (segments) that may be interested in your product/s. They need to know the various possible market segments, profile their nature and characteristics, and thereby decide which segments to target. Further, by analysing this market, he/she wishes to devise a basic marketing strategy, that is, position the product in this market. Your task is to do this work for the manager. The more you specifically analyse and present your research in terms of the theory taught in class, the more marks you will be awarded. Examples may include discussing segments or target markets for your product-market in terms of ‘stage of the family lifecycle’ or ‘typical consumer profiles of socio- economic classes’ or ‘the extent that the product taps into core cultural values’. You will be given a Canadian company and the type of product or products that it produces. Some of these company choices manufacture merchandise goods and others provide services. However, which markets (countries) will you examine, and which segments should be targetted within these markets? State the name of the product that you are examining in the overseas market. Also state the Canadian client company, that produces these product/s. Then mention at least five possible markets (countries) from the same region as each other. State your reasons why you chose this region, in general terms. (Only) if you wish, back this up with statistics.Then, choose a country to go into with your product/s, that is, one of the five. State briefly and intelligently your reasons for choosing this country. Discuss the interaction between your chosen product / market (country) and any trends occurring in families, the functions of a family, family lifecycle, family decision-making, or any other aspect of families. You do not have to discuss each, just a selection.In the course of this discussion, give a brief description or profile of the various groups (ie. define the segments). Go into more detail about what these groups are like, their lifestyles, their needs for and usage of products like yours, and so on. As a result of this analysis, state at least one or maybe two viable possible market (consumer) segments that could be targetted. Discuss how wealth, income, occupation or education dynamics in your country may interact with your product. Other possible areas to discuss could be trends in the above-mentioned factors (eg. demographic trends here or lifestyle and consumer trends within these groups), any known geodemo- graphic impacts, or anything else relevant. In the course of this discussion, give a brief description or profile of the various groups (ie. define the segments). Go into more detail about what these groups are like, their lifestyles, their needs for and usage of products likes yours, and so on. As a result of this analysis, state at least one or maybe two viable possible market (consumer) segments that could be targetted. How may O.L.’s and reference groups affect demand for your product/s and the product characteristics sought? Try to find any real-life examples in your country of individuals (O.L.’s) or groups (reference groups) that may be influential to consumers concerning your type of product. As a separate issue, are there consumer segments here, such as a group that tends to be especially influenced by a particular type of O.L. or reference group type? Again, try to think of any, and their effect on your product.In the course of this discussion, give a brief description or profile of these various groups (ie. define the segments). What do they like, what are their lifestyles, their needs for and usage of products like yours, and so on. As a result of this analysis, state at least one or maybe two viable possible market (consumer) segments that could be targetted. Examine the effects that culture has on the way people do business in your country. (The purpose of this is to imagine your chosen company actually conducting business, as opposed to just the effect of culture on your market). Next, discuss the cultural value system in the country and any effect on consumers’ acceptance of your product. This means either the ‘core’ values or other values. Is your country a multicultural society (virtually all countries are)? How do the different groups differently perceive your product/s and want varying features, promotional campaigns, and so on, with your product/s? What of other sub-cultural groups, apart from those normally associated with multiculturalism? Finally, discuss Hofstede’s Theory for your country, on each of the five Hofstede parameters (‘power distance’, etc). State the way in which some or all of these characteristics (parameters) may affect your product, or at least the general product category your product belongs to. As a result of this analysis, state at least one or maybe two viable possible market (consumer) segments that could be targetted. Briefly discuss the current or recent marketing of your company’s product/s (ie. your chosen product/s), whether just within Canada or maybe also to an overseas market, even possibly your chosen market.Outline the brand/s that it produces. Are these currently sold just to the Canadian market or also to the overseas market, and which markets? What general strategy appears to have been employed? What resources (funding, personnel) have they put into their marketing effort? What promotion do they do? What is the distribution process? How about the pricing? If they have gone into another/other market/s, what entry strategy do they use (direct / indirect export, licencing, direct foreign investment, franchising, etc)? You have now done numerous profiles of consumer segments related to the various socio-cultural aspects. Of course, the most promising target segments are very unlikely to be the same for the various socio-cultural aspects! Now bring this all together by making an intelligent judgement on the overall TWO best, most appropriate target markets for your product/s in your overseas market. Justify your decisions. What attributes of the product/s might the consumer use to make their decision to buy or not buy? How could the product possibly be modified to better cater for the target markets’ needs? Can you create extra services or augmented aspects of the product/s that may appeal to these target segments. What would be your general pricing strategy? For distribution, what market entry strategy would you employ? Can you name any retail outlets in your country (unless your product is a service or being sold entirely directly through e-commerce)? Are there any special distribution requirements such as with storage?